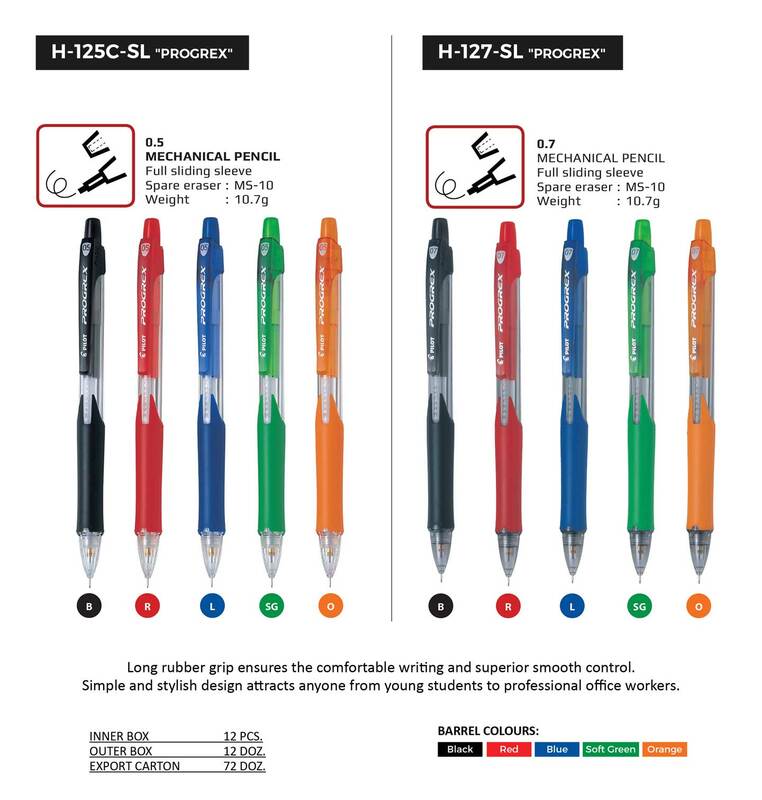 Mechanical Pencils | Cosmos Bazar Inc. 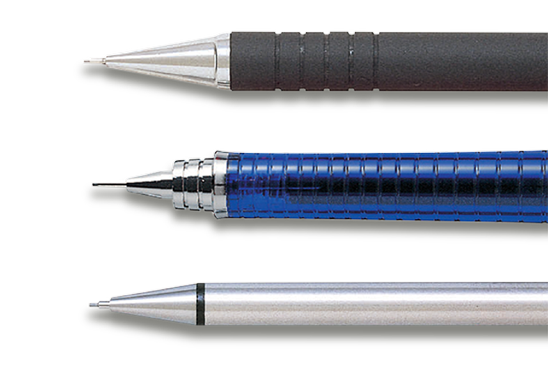 Designed for smooth writing, drawing and drafting. 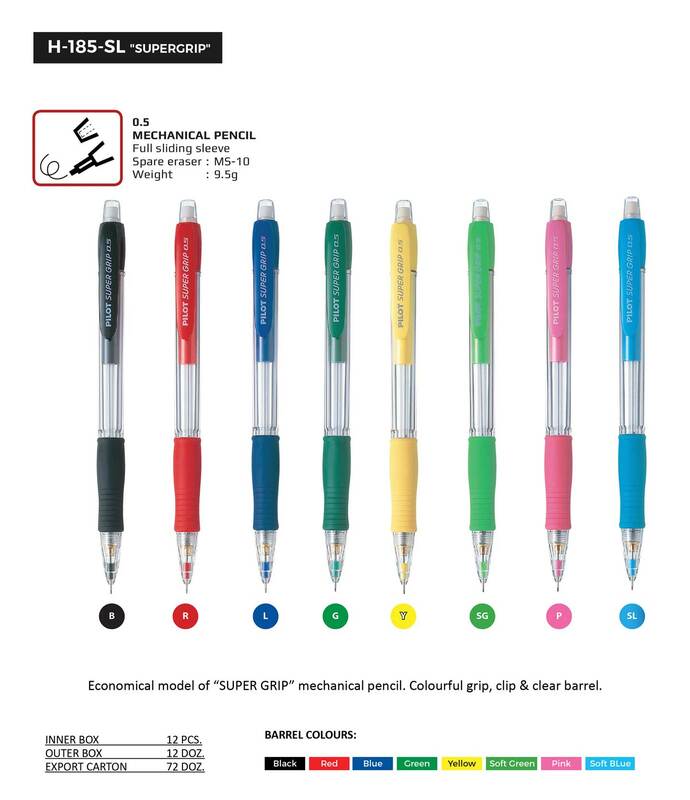 Various color options. 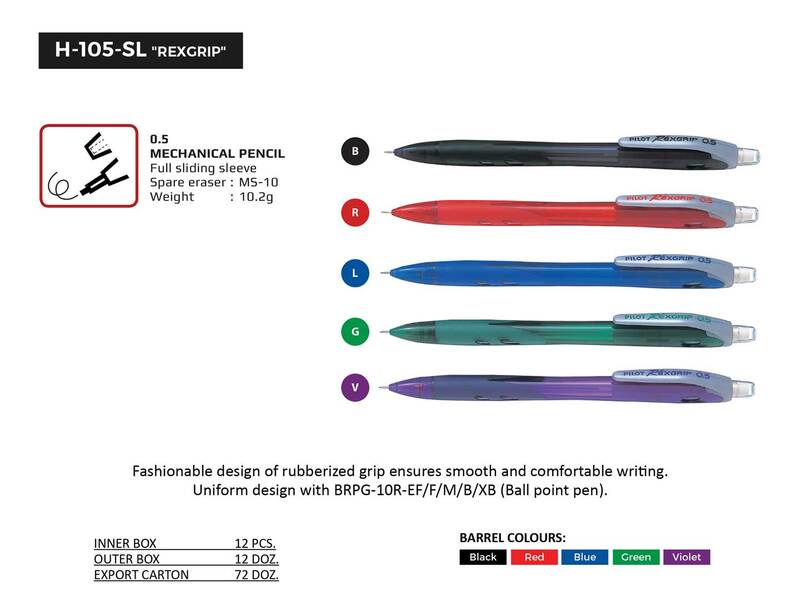 Different types and features including rubber grip, retractable sleeve, integrated eraser, removable clip, tinted barrel and shake or press feeding mechanism.